Many veterans are coming home curious about how to gain access to medical cannabis? The opioid crisis has reached a milestone where veterans are dying and not healing! What if there was a way to answer serious questions about our veterans regarding these matters? 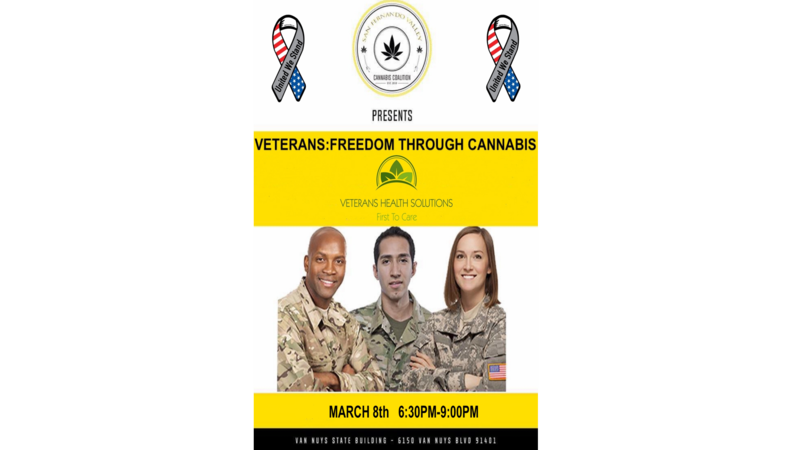 This panel discussion is by veterans for veterans who have benefitted in some way from the use of cannabis. Come meet veteran speakers who are cannabis industry experts as they share their stories and why cannabis has given them a second chance at life. This panel discussion promises to be a powerful, positive and insightful event that will empower our veterans from years to come. We will be hosting a special dinner for our patriots and we ask that you to join us at the Freedom Through Cannabis event to support our nation’s freedom fighters.